Worker fatigue and demanding work schedules make working the graveyard shift dangerous for many sanitation workers. Working the night shift increases the risk of serious injuries and fatalities among clean-up crews working in the meatpacking industry. Working in a meatpacking plant exposes sanitation workers to many hazardous conditions. These workers are responsible for cleaning machines that by nature are dangerous because of moving parts, like conveyor belts, grinders and sharp cutting blades that are designed to chop through bone. 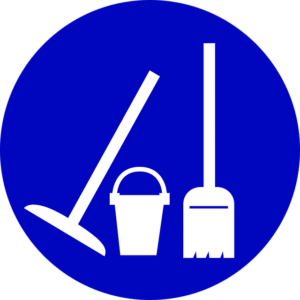 The risk of occupational illnesses from extended exposure to cleaning supplies, loud noises, and other hazards increases, especially among sanitation workers working long shifts. Worker fatigue plays a big part in many injuries and fatalities. Working long hours, especially on the graveyard shift with little sleep or without proper breaks during a shift increases the risk of serious accidents on the job. Fatigue interferes with workers’ reaction times, decision-making abilities, ability to cope with stress, and productivity. When these factors are combined with hazardous conditions and dangerous machinery, tragedy can strike. The Occupational Health and Safety Act addresses many of the hazardous conditions that sanitation workers face during graveyard shifts. But because many of the sanitation jobs in meatpacking plants are filled through outside companies, it is common for injuries and fatalities to fall through the cracks and are not reported to OSHA. Recent changes in oversight have also allowed plants to skirt by regulations that were previously required. Undocumented workers are at the highest risk of getting exploited because they could be afraid of reporting injuries or seeking workers compensation because of fears of employer retaliation. Such retaliation could include getting fired or even worse, becoming deported because of their immigration statuses. This causes many workers to suffer in silence instead of seeking help from workers compensation lawyers that could assist them in filing claims that would compensate them for their injuries and income lost from becoming unable to work.